Might humans have evolved a unique type of Alphabet pheromone? Researchers in the UK found that visual words can influence the perception of smells1. 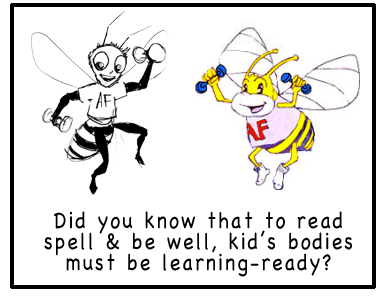 When we alter body-associated movements, we alter pheromone output (invisible communicators). When we change our chemical output through remote, digitalized language vs active enactment, we ‘rechemicalize’ our human nature. Through years of observing the spontaneous, active play behaviors of young children, we began to question if man-made alphabet tools may have influence the nature of human well-being. Is it possible that man’s communication tools inadvertently disrupted the natural integration of the human’s sensory-motor systems as they increasingly encoded nature’s pheromones into more scripted contexts? If we do not look more deeply into this dynamic, we may become increasingly challenged to raise children who are exposed to the sounds of language in the womb of a twittering or emoji-conversant Mom! 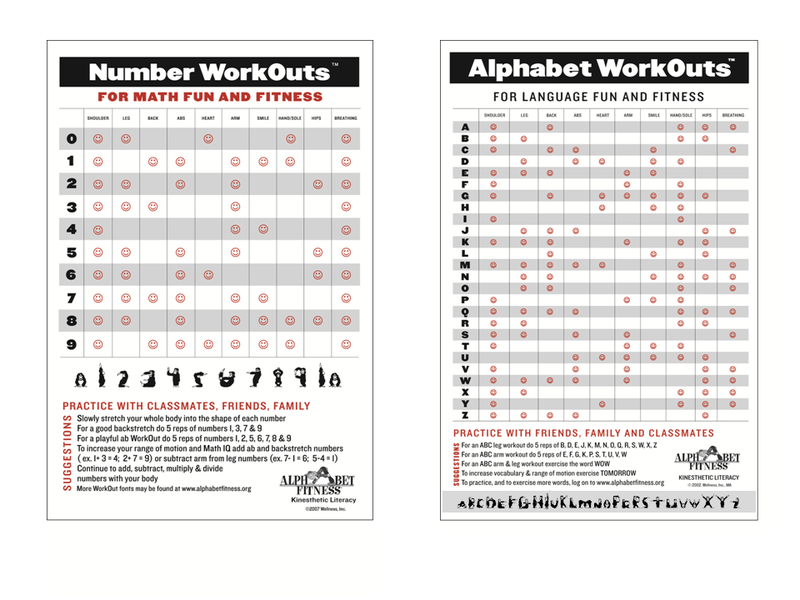 Alphabet Fitness’ more active approach to alphabet education hopes to offer an option to the need for unraveling what could be considered ‘the increasingly isolating encryption of the alphabet species’. Scientists working to more accurately predict which embryos have the greatest potential for success are turning to a new tool: artificial intelligence. Fertility researchers in the U.S. and Australia are presenting their AI approaches at the American Society for Reproductive Medicine’s scientific meeting today. In the U.S., researchers used 18,000 images of embryos to train an algorithm to determine the quality, which it was 97 percent accurate at doing. And the scientists in Australia used time-lapse videos to analyze specific features of developing embryos. Then, they used that intel to train a system that can predict an embryo’s chance of resulting in a pregnancy with a fetal heartbeat. Previous PostMiss Spells sends letter to White House – Global Children request the U.S. respond to the UN Child’s Rights Treaty, Article 22 for RefugeesNext PostWHO IS MOVING OUR LIPS, HIPS, AND FINGERTIPS IN THE DIGITAL AGE?